If you follow us, you must be into paddling in some way. What was at one moment a spin-off out of classical wave-surfing, became one of the fastest growing surf activities of the late decade. But, stand up paddling goes back into history – way back. Its history can be traced to a thousand years B.C., although it was never as popular as it is at the moment. From catching swells, to exploring, fishing or doing yoga, SUP isn’t just a sport, adventure or fun – it is all of them and more. Much like its brothers and sisters – wind, wave, kite, wake surfing – stand up paddling is a lifestyle that offers an excitement of its own. 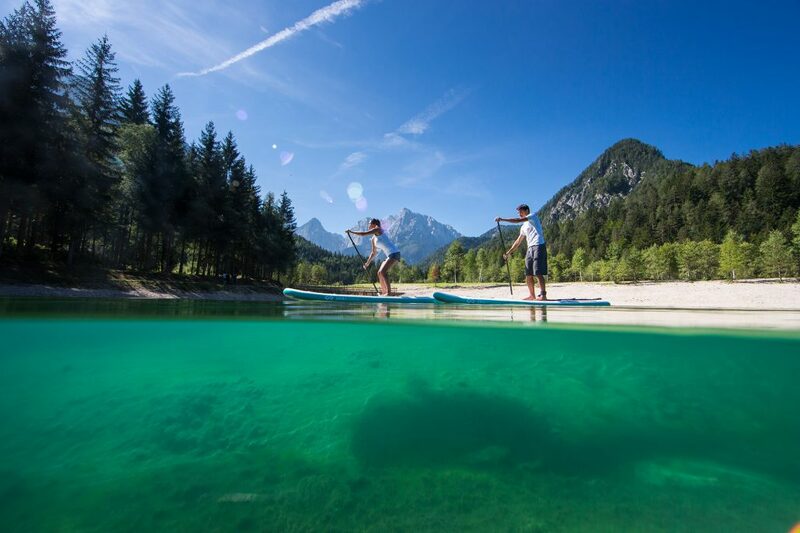 Ever stood on a board and paddling slowly over crystal clear water? For those of you who have tried it, you know it is a unique experience – a sensation similar to walking on water. All of you who haven’t tried it yet – grab a board and go for it. It is much more fun than you can imagine. SUP will give you a unique view and offer different types of joy, regarding to what you seek. It is a known (we won’t say scientific) fact that even watching larger bodies of water relaxes the mind and lowers stress levels. Now to add on top of that – a stable board, a paddle and freedom to move thorough the tranquility of a wave less bay, for us, this is a meditative experience unlike any other. With a good board, you will be able to stop, sit down and enjoy the moment. One great thing about stand-up paddling is that boards come in all shapes and sizes. Some more agile, narrow and meant to go faster, others wider and longer meant for more comfort, carry-on accessories, or even passengers. One fun way to SUP is in the company of your partner, child or pet. You can use the board as a kayak or a canoe and paddle in pairs, or just take turns and enjoy the ride. Canines love it, so don’t be surprised if you see someone “paddling their dog” the other way on your morning paddle routine. integrated in our Drive System boards. Out of all ways you can paddle on a board, one thing is in common – stand up paddling is a great form of exercise. It works larger muscle groups, puts your stabilizing muscles to work and shapes the entire body. It doesn’t matter whether it is a quick morning paddle while on vacation or setting your personal best to the cape and back, a healthy work out is a fixed guarantee. So for all SUP enthusiasts and experts – hope we got your juices flowing to go out again. And for those who are not sure whether it is something for you or not… Try. Rent a board or get your own – there are many to choose from and each one will last you a long long time!